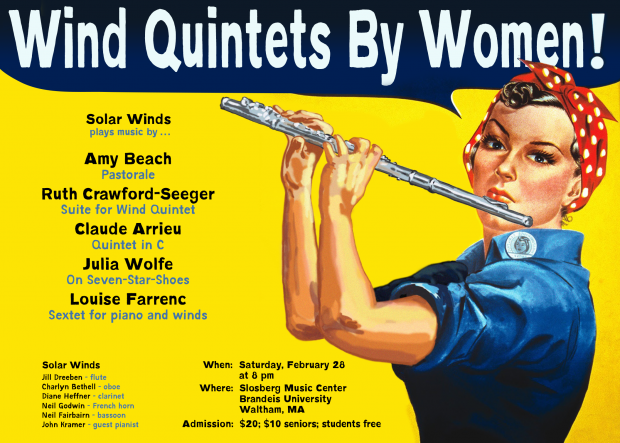 On February 28 at Brandeis University, Solar Winds will perform a concert of wind quintets composed entirely by women. The compositions are varied, entertaining, and musically significant. 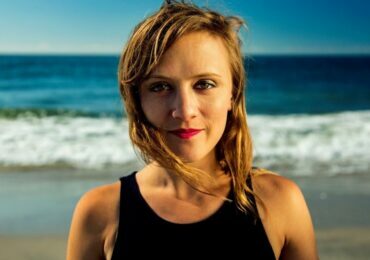 The concert opens with a brief and graceful Pastorale by Amy Beach – or “Mrs. H. H. A. Beach” as her husband insisted she call herself while he lived. Beach (1867-1944), a New Hampshire native, was a virtuoso pianist and self-taught composer, who struggled with magnificent success against the male-dominated musical hierarchy of her day. Claude Arrieu was the pseudonym of Louise Marie Simon (1903-1990). She was a prolific composer of orchestral, chamber, vocal, and film music. 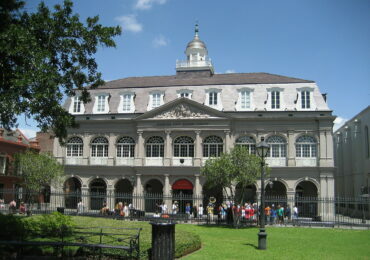 Her Quintet in C, published in 1954, is a brilliant recollection of the French neo-classical style with the charm and bite reminiscent of Francis Poulenc. Celebrated in her day (she was awarded the Légion d’honneur), Arrieu is now largely forgotten – a loss to music lovers everywhere. After the intermission, Solar Winds returns to the United States and a work by the contemporary composer Julia Wolfe (born 1958). On Seven-Star-Shoes is a driving, percussive, sometimes violent work that combines the idiom of Eliot Carter with the attitude of punk rock. 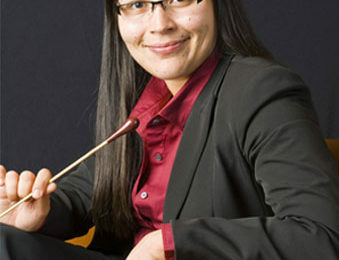 The final offering on the program is Louise Farrenc’s Sextet for piano and winds. Farrenc (1804-1875) was arguably the greatest woman composer of the nineteenth century. The only female professor at the Paris Conservatory, she gained renown in her lifetime for her chamber and piano compositions. 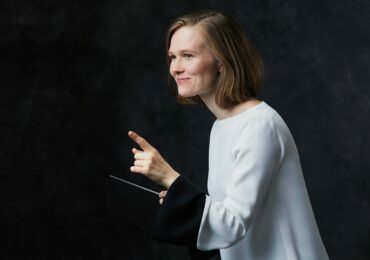 Her reputation languished for 100 years, but she has recently – and rightfully – been rediscovered as a brilliant and passionate practitioner of the early romantic style, the musical terrain where Beethoven meets Schumann. 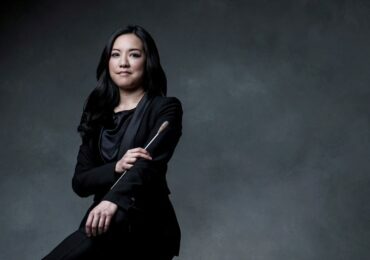 Solar Winds is joined by pianist John Kramer for this exciting finale to their concert. 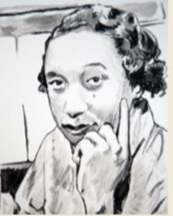 Previous articleNEW DISCOVERIES of Florence Price’s Music revealed in Arkansas Festival! !